Educational philosophy statements can be used for a lot of different reasons. If you are a professional educator, having a statement is not only a good addition to your portfolio, but it is also a great guide in the interviewing process. They are great posters that can be hung allowing parents to know what they might expect from you. 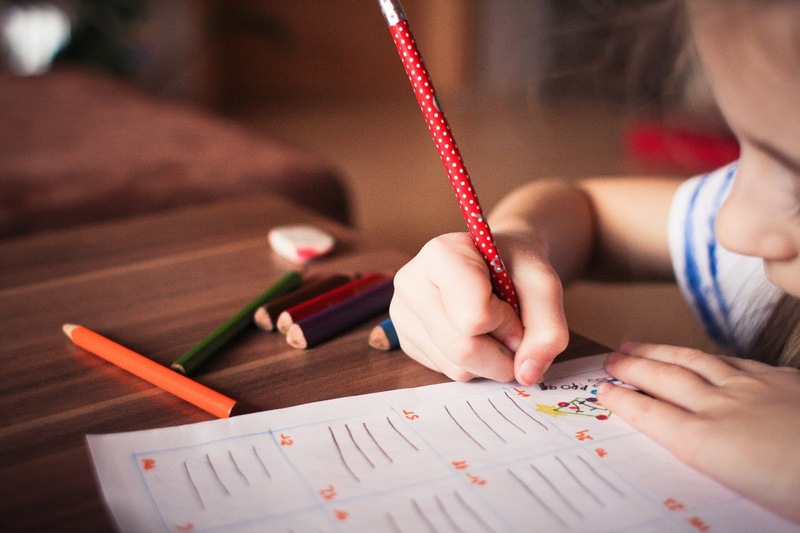 If you are a homeschooling parent, creating an educational philosophy statement is a great way to consider, formulate, and to remind yourself what you believe about education. It can help you remember why you teach the way that you do or why you need to change what you are currently doing. It serves as a working guide. By default, we all have an educational philosophy of sorts. We each have ideas that shape what and how we feel about education and teaching/ learning methods, however putting it down on paper is an important step in being a great educator. Making an educational philosophy statement starts with brainstorming. Get a piece of paper and start with "I believe" statements and let your creative juices flow. Once you get some good ideas down, then you can start working on your statement. It is best to keep your statement fitting onto one sheet of paper and large enough to read while hung on the wall. If you need more help in getting started, here is a great link. Here are some printouts that you are free to use. Click on the link below the image to download the PDF for free. Be sure to subscribe by email to get upcoming free printables! (The large watermark is not on the PDF). 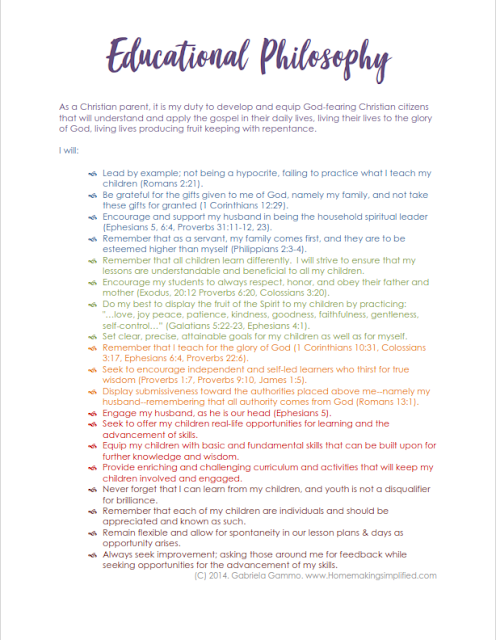 Download the free Christian Educator educational philosophy PDF here! Download the free educational philosophy for homeschoolers PDF here!